In various purposes, we use Google map including measure distance to getting direction. We use frequently this handy app, it has a few unique feathers. Many of us probably don’t know about these features. Today I will share 21 “Google map tips and tricks”. Describe google map tips and tricks. Google Map gives you option to measure the distance between two points. Here you can determine the point-to-point distance. Or a straight road distance on one place to another point. For this, you need to hold a drop pin in any location. And pressing the drop pins will give you some options; from here click on Measure Distance. You can measure the distance. Google’s new feature Share your location in real time. With this option, you can share let your friends know your current location. For this; you have to click on Share Location from the menu and select the duration. You have to select the people from Google contact and share location with them. Google Map has a light mode Version. Internet consumption will decrease but it can only be used in the web version. You can browse the lights mode using this link. Google Map users are definitely familiar with this Street View. With this feature, we can see everything around the street. You can download a certain place’s map for offline use. When you will not have the internet then you can see the places you downloaded from the map. Af ter click on the name of any location, you can download the map from the “Download” option. If you have multiple stops on your trip; first add your first stop. Then click on the vertical dot on the right and add multiple stop. Similarly, add the next stop. Must Know: How to bypass google Phone Verification of the Samsung or Android phone. On the way, you can select different stops according to your needs. Setting up a petrol pump, restaurant etc. On the way, when it’s come around you will find the signal. You can get this option by selecting the categories in Navigation mode search bar. On Google Maps, you can add labels that are not added to Google Maps. Keep your favorite places, travel breaks, or any place you visit. After adding labels, you can find these labels by searching the search bar. First tap the pin menu by tapping and holding, then click Label and set the label. This is one of the Google’s most popular features in the developed world. When someone plans for a place; or travel – then this feature informs them the traffic pressure of the particular road. For daily driving, you can manually find out the parking spaces for your car. Click on blue dot above your current location and you can save your parking location by clicking save your parking. This will help you to find your car. You can contribute to Google Maps by clicking on Your Contributions from the menu. Here you can write reviews, add new places, and earn points through contribution. It is possible to improve with the location around you. With your contribution points, you will get many different Google services. For example Google Drive Free Storage. You will not get the option to add a new place from Your Contribution. But you can add a new place easily by clicking the Add a missing place button from the menu; you can send it to Google Review. You can check places that you recently visited according to your road click on Your Timelines> Recent Places. It might scare many of us that Google is tracking us. But we have to consider the good aspects of it. You can get the facility call a ride through the Google Map app like Uber. It will find a ride rental service in your area and inform you about it. we usually use two fingers to zoom in but with one finger we can zoom in. Double-click on the screen to zoom. 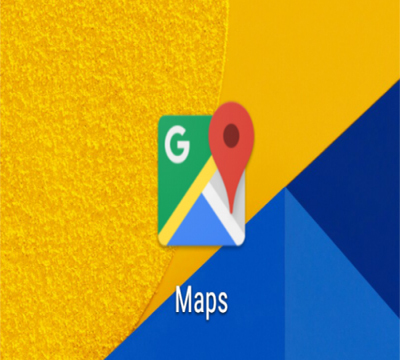 If you trust Google Maps for your journey, you have no option of navigation mode. To select direct navigation mode to the app; you have to search for Directions. Now you have to select the best route and default commute method from Direction Button. Velociraptor is an Android app that lets you use a speed limit of Google Map for different areas. This will give you an idea about how much speed to keep in an area. If you are aware of the environment; you can put a Chrome extension called Carbon Foot in your browser. It will show you how much of your car is leaving carbon dioxide on a particular route. It will also show how many plants need to absorb the carbon dioxide here. If you want to do more in addition to setting the label on Google Map; However, going to Scribble Maps you will get Google Map, there are options for adding the drawing, lines, shapes and various other options. This way you can create a custom map. Suppose you are new to any area, you can easily access recognize the labyrinth of the area. I said above all the tricks, using these tricks you can find yourself anywhere in the world. On the go, ferries can increase your expense. Therefore, using this feature allows you to create new routes to avoid toll-ferries etc. I didn’t know a lot of these cool features. I will definitely use them now I do. Thank you so much for this! I use Google Maps on my phone often, so these will come in handy. I honestly didn’t know it did this much. I love google maps and have been using it for many years now! Even then, I didn’t realize I could do some of these things! I had no idea Google Maps did some of these things. I will definitely give a few of these a try. Two of my kids play on travel sports teams so I use Google maps constantly. I will be using tomorrow to get to my son’s football game. I use it to give me an idea of how early we need to leave as well. I love Google maps and all the things it can do. Thanks for the tips. They are really helpful. I absolutely love Google Maps – such a useful online resource! It’s come in handy many times in my life. I love the street view. It’s really convenient and useful. as a newbie to the city, i always use the map to navigate around and this tips are surely helpful, some i know already and some im excited to try! I have to admit I didn’t know about all these tips and I totally admit I do like Google maps I always street view places we are heading to. who knew all the tricks that google maps could do! these will be super useful! I had no idea you can download maps for offline use. this is great information! Such great tips! Google maps is so much better than Apple maps! SO important and such great tips. As someone who can easily get lost even with maps it is great to be able to apply the info and not get lost. LOL. Interesting, I didn’t know that I can download the map. That is a very useful tip, especially when I am bound to a remote location or I don’t have access to the internet, which is more applicable to me, Lol! I love google maps, but I did not known all of those tricks. I will remember them for sure. I personally love the traffic feature as it really helps when you are trying to avoid traffic jams. It helps if you have a navigator and my wife is often the one that help me check which part of our route has traffic when I drive. i had no idea the maps app had to many capabilities. I’m going on a late night drive tonight just to check it out.